The Community Kitchen is a cookery school for everyone – from classes with chefs and food experts, to community courses for health and wellbeing. We opened the Community Kitchen in May 2018, on Queens Road in Brighton – one of the busiest roads in the city and just a short stroll from Brighton railway station. The Kitchen is a social enterprise run by the Brighton & Hove Food Partnership, a non-profit organisation with 15 years’ experience using food to create positive change in people’s lives. We have been teaching cooking for over 10 years, but previously ran our classes from community centres, churches and any other semi-suitable space, usually bringing in portable gas hobs and other equipment. The Community Kitchen provides a central space tailored to our needs and available for use by others. 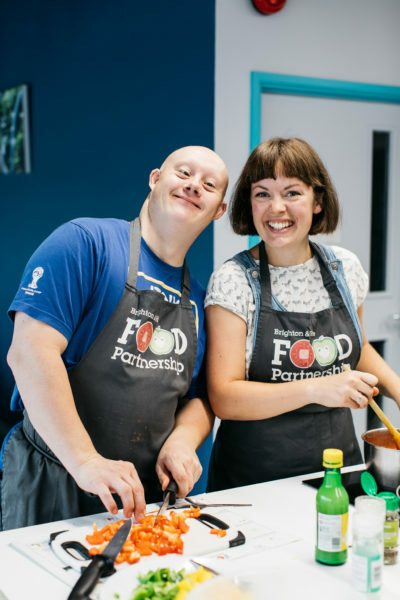 It is fully accessible, purpose-built and has enabled us to expand our offering, ensuring many more people in Brighton and Hove learn about food, share food and, above all, enjoy food. The social enterprise model means that community cookery activities are subsidised by funds raised from chef masterclasses, paid places on cooking classes and venue hire (including team building/ events/ private group classes). The Community Kitchen was built in spring 2018 after a successful crowdfund campaign and receives grants and donations for much of its ongoing work. 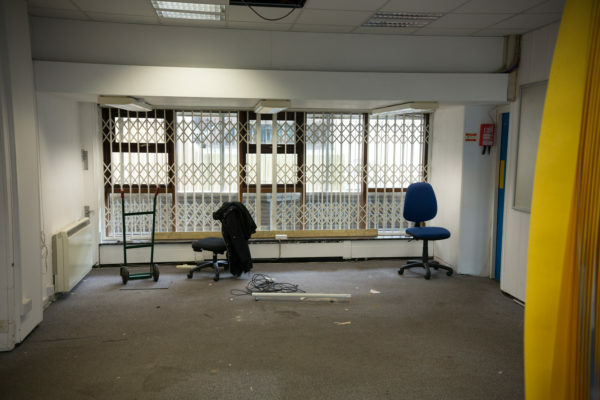 The team at the Food Partnership raised over £100,000 in grant funding for the initial conversion of a former office space in the Community Base building. A further £27,305 to kit out the state-of -the art, fully accessible teaching kitchen was raised through crowdfunding. All profits from the Kitchen are used to support community classes for people regardless of their finance, confidence or ability. The building work in the Community Kitchen was funded by our amazing crowdfund supporters alongside the Veolia Environmental Trust, the Rampion Fund and the players of the People’s Postcode Lottery with support from the Jamie Oliver Food Foundation. As part of its wide range of activities the Kitchen will deliver Jamie’s ‘Ministry of Food’ cooking course. The building works were also supported by MacConvilles Surveying, Crofton Design, Gyoury Self Partnership, Cheesmur Building Contractors, Brewers Paints and Claire Potter Design. The Community Kitchen merchandise was designed by Furious Goose. Local food businesses offer ongoing help with the project – including Restaurants Brighton, BrightDials and The Social Club, the chefs who have donated time to run masterclasses and we are proud partners of the local Brighton & Hove Food and Drink Festival.